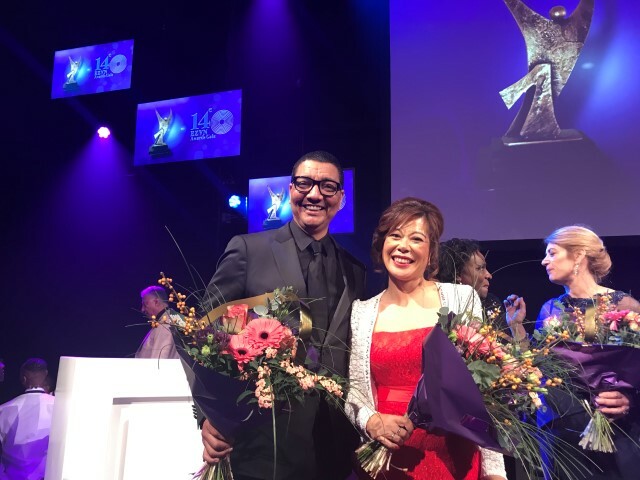 Dutch celebrity Jörgen Rayma​nn was host for the awards evening. EZVN stands for Ethnic Business Woman of the Netherlands (Etnische Zakenvrouw van Nederland). 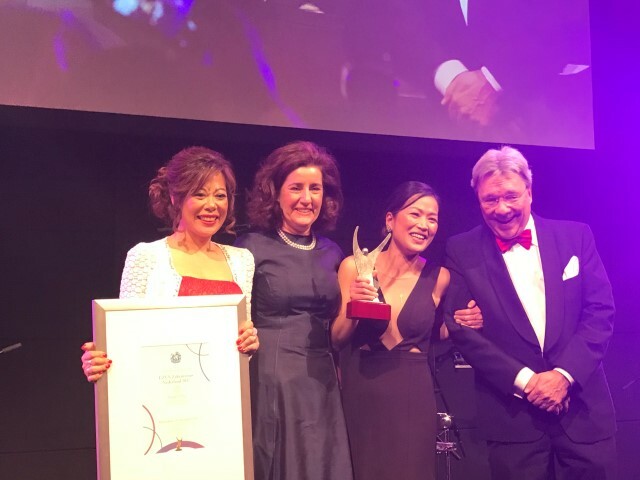 The winner was announced as Eveline Wu, chef and owner of four top restaurants in the Netherlands, who was also, like Feng, born in China. 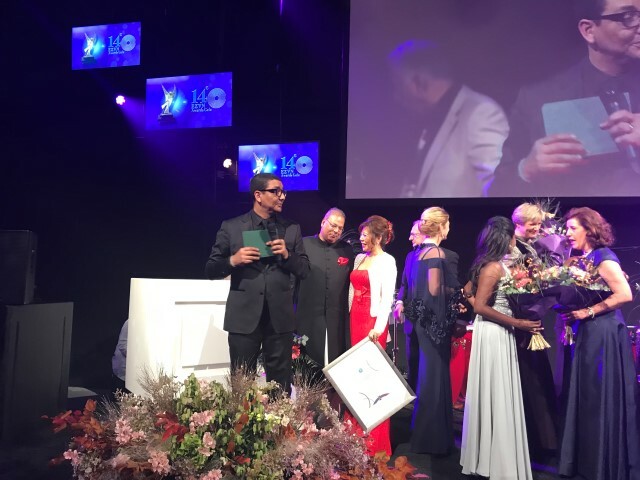 The award was presented by Minister van Engelshoven. 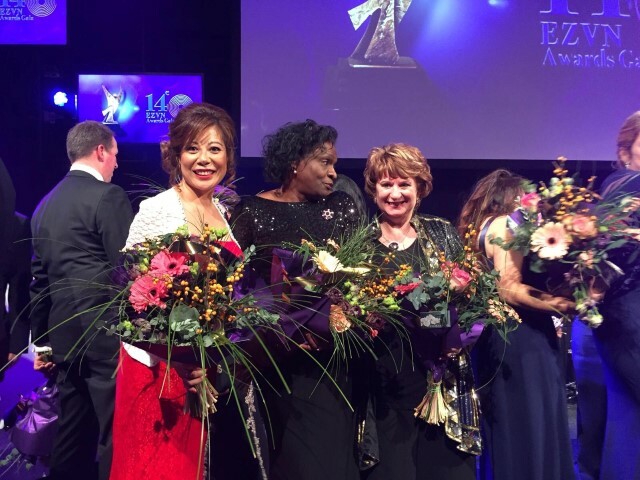 Feng said it was an honour to be nominated and an enjoyable process, during which she met many inspiring women who have clearly achieved and stand out as role models for young woman to rise to positions of management, leadership and help drive entrepreneurship. Maggie was supported by her husband, Peter Birdsall, who is Wittenborg’s chair of the executive board. The jury said that they were impressed by her 'directness' in leadership and her drive; 'Maggie Feng is a director who is constantly seeking improvement in the service provided to (Wittenborg) students' and she was described as a 'coaching manager' who holds the mirror up for her employees and stands for an open and honest working environment. 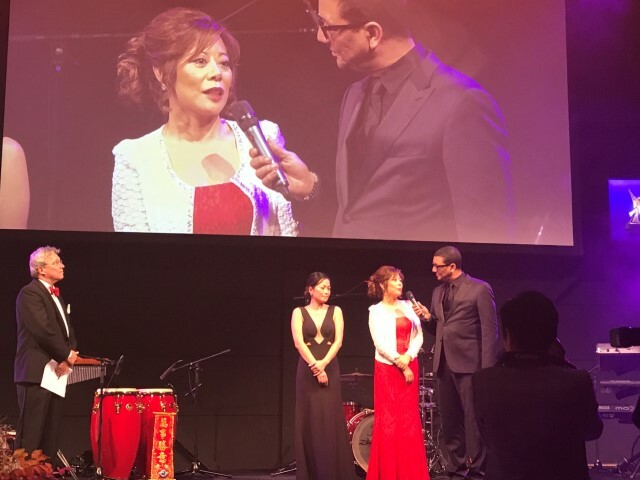 The jury highlighted that Maggie had said that she would like to be an inspiration for Chinese woman in the Netherlands, many of whom work so hard in the family run restaurants and are never seen. They mentioned her moto 'long life learning is a general good for everyone', as basically meaning that everyone can and everyone should continue to learn and develop throughout their life. Van Engelshoven congratulated both finalists and also praised all the candidates for their achievements. Also in attendance was the mayor of The Hague, Pauline Krikke and the secretary of Rotterdam City, Ina Sjerps who previously held the same position in Apeldoorn. Dutch celebrity Jörgen Raymann presented the awards. Feng, who speaks English, Dutch and Mandarin, grew up in Beijing, China. She studied Engineering Management at the Beijing University of Technology and came to the Netherlands as an exchange student where she met Birdsall. She also has an MSc in Facility Management from the University of Greenwich in the UK. 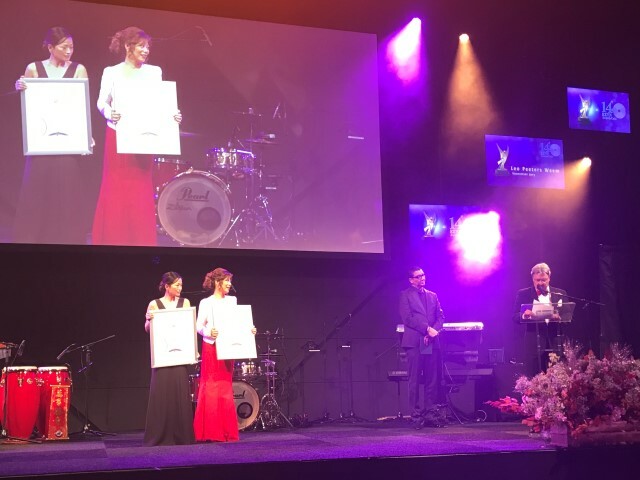 Besides her job as CEO - which includes being head of Wittenborg’s Research Centre and leading a major EU-funded project in sustainable energy – she is also a jury member of the Apeldoorn Business Awards and ambassador for the annual canal concerts in Apeldoorn. 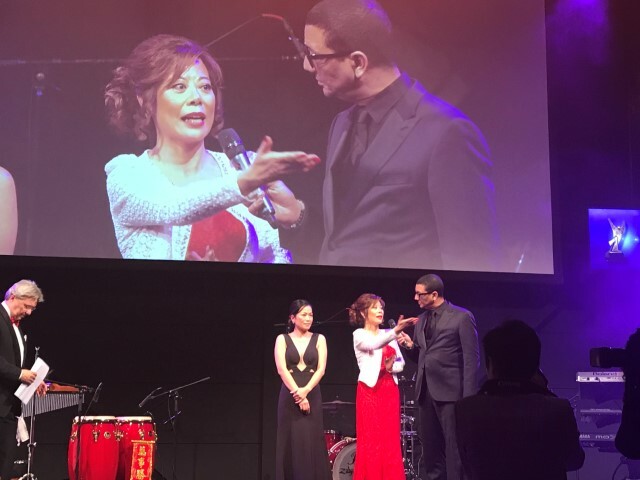 The winner was announced as Eveline Wu, chef and owner of four top restaurants in the Netherlands, who was also, like Feng, born in China. The award was presented by Minister van Engelshoven. 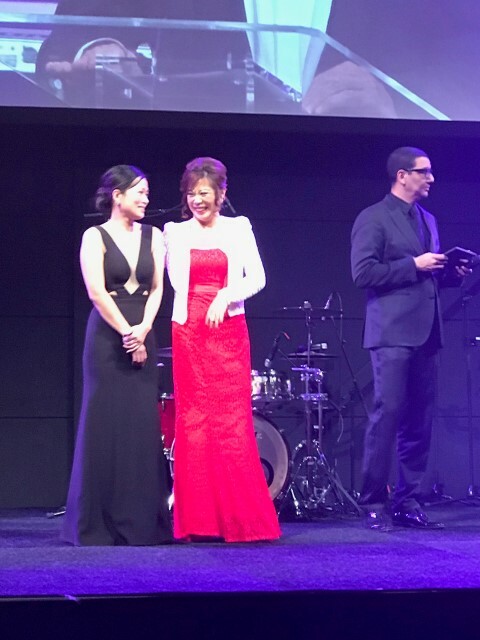 Feng said it was an honour to be nominated and an enjoyable process, during which she met many inspiring women who have clearly achieved and stand out as role models for young woman to rise to positions of management, leadership and help drive entrepreneurship. Van Engelshoven congratulated both finalists and also praised all the candidates for their achievements. Also in attendance was the mayor of The Hague, Pauline Krikke and the secretary of Rotterdam City, Ina Sjerps who previously held the same position in Apeldoorn. Dutch celebrity Jörgen Raymann presented the awards.